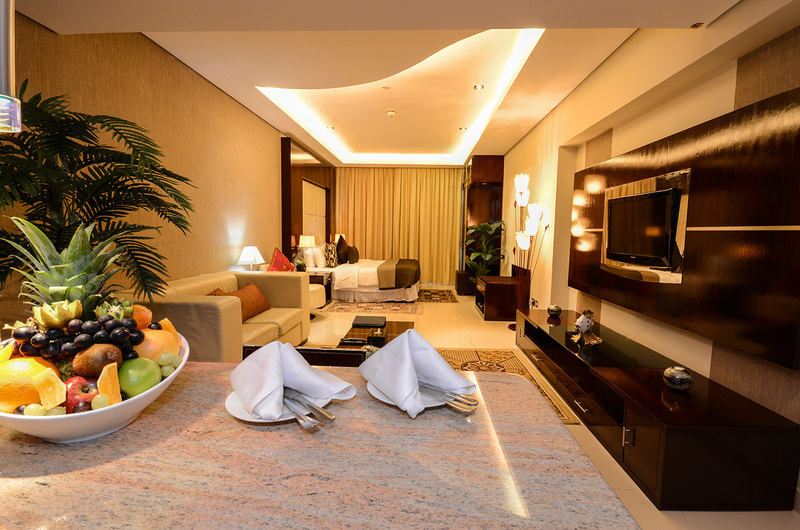 Elegantly designed rooms with picturesque views of the Sea and Media City and Sheikh Zayed Road provide an ideal sanctuary during your Dubai stay. The definition of refined luxury. The Grand Midwest Tower – Media City offers guest both choice and diversity with luxurious, contemporary designed Suites. offering short and long term accommodation. 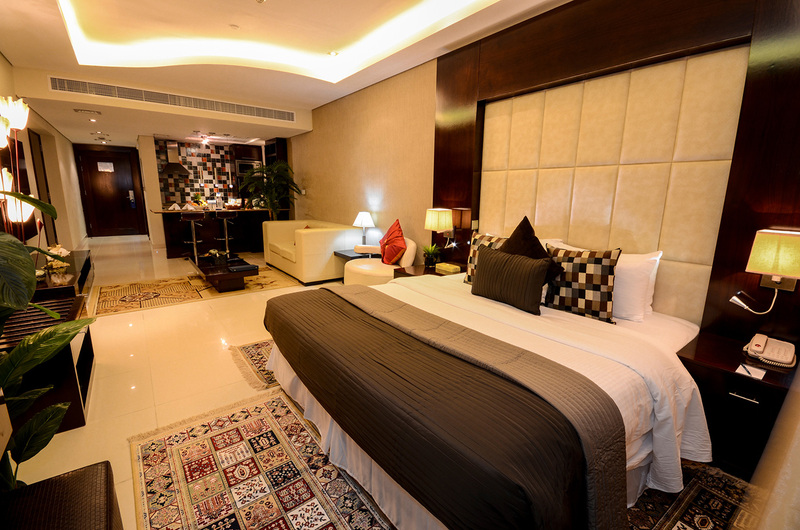 Our guests have the choice of generous studio, one and two Bedroom Suites. This modern, luxurious, air-conditioned Studio Offering views of Sheikh Zayed Road, includes a satellite TV, dining table, and fully equipped kitchen. This room can take an extra child below 5 years old….. 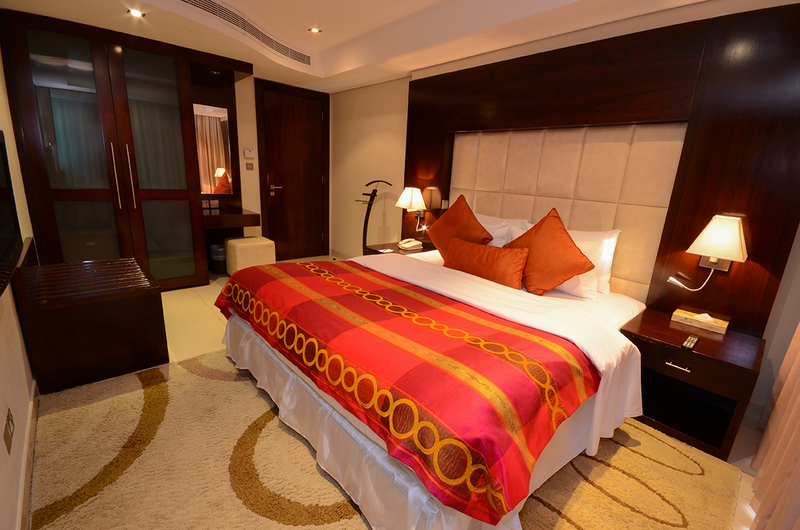 The room has a size of 93 sq m and is fitted with a king size bed 180 x 200 or 2 twin beds 90 x 190. It is spacious and elegantly furnished with modern furniture and has a fully equipped kitchen and a separate living room….. The apartment has a size of 126 sq m and is fitted with a king size bed 180 x 200 and 2 twin beds 90 x 190. It is spacious and elegantly furnished with modern furniture and consists of a master bedroom with an en-suite bathroom, a second bedroom, a fully equipped kitchen, a separate living room….. This modern, luxurious, air-conditioned suite offers free Wi-Fi, a living room with a flat-screen TV and a kitchenette complete with a dining table. The bathroom includes a bath and complimentary toiletries. Free transportation to the airport is also provided….. This modern, luxurious, air-conditioned Studio Offering views of Sheikh Zayed Road, includes a satellite TV, dining table, and fully equipped kitchen. This room can take an extra child below 5 years old. Bed Size: 1 Extra-large double bed or 2 Single beds. 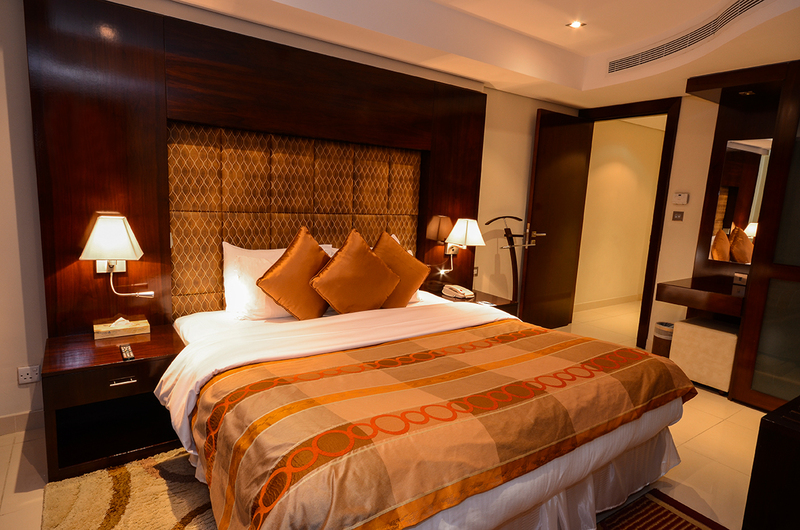 The room has a size of 93 sq m and is fitted with a king size bed 180 x 200 or 2 twin beds 90 x 190. It is spacious and elegantly furnished with modern furniture and has a fully equipped kitchen and a separate living room. The apartment has a size of 126 sq m and is fitted with a king size bed 180 x 200 and 2 twin beds 90 x 190. It is spacious and elegantly furnished with modern furniture and consists of a master bedroom with an en-suite bathroom, a second bedroom, a fully equipped kitchen, a separate living room. This modern, luxurious, air-conditioned suite offers free Wi-Fi, a living room with a flat-screen TV and a kitchenette complete with a dining table. The bathroom includes a bath and complimentary toiletries. Free transportation to the airport is also provided. It offers: Daily newspapers. Complementary fruit basket on arrival. Free daily refilling of minibar. Tea-coffee facility ,DVD Player (on request) , Complementary Internet , Computer (Desktop), Free usage of the steam room, sauna, hot tub, swimming pool & fitness Center. • 15% Discount on Laundry.